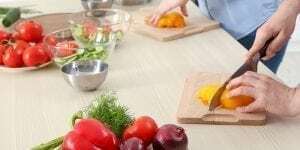 To help manage your Polycystic Ovary Syndrome, also known as PCOS, changing the way you eat is one of the most important things that you can do. By changing how you eat, you can help to manage your hormones and ease some of the symptoms of PCOS. Research shows that gluten can contribute to some PCOS symptoms. Gluten is a hormone disruptor, which means that it mimics certain hormones and can cause the body to get confused. The body could then over or under respond and release the necessary hormones at the wrong time. By making some simple changes in your diet to avoid gluten, this can help you to feel better, a lot less bloated, and to actually see an improvement within about a month. While avoiding gluten will help immensely, there are also other foods that you should try to avoid eating when you have PCOS to help make conceiving easier and your to regulate your hormones. When baking with PCOS you want to avoid gluten, soy, dairy, and foods high in sugar. Foods that you should try to incorporate in your diet are things such as : whole foods, foods with a low glycemic load, and anti-inflammatory foods. For whole foods, think foods that are natural and unprocessed. These are foods such as meat, vegetables, fruit, nuts, and seeds. Foods with a low glycemic load are foods that are unprocessed and rich in fiber, minerals, and vitamins. These are foods such as oats, sweet potatoes, and carrots. Anti-inflammatory foods are foods that will help to lower the levels of chronic inflammation that PCOS can cause. 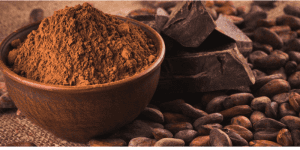 These are foods such as broccoli, ginger, turmeric, dark chocolate, and kale. With the holidays, it can be hard to find delicious gluten free and fertility friendly baking recipes. So we have found five recipes to make the holiday season a little easier for you and a bit more tasty! Form dough balls that are about 1.5 inches in diameter, roll dough into cinnamon mixture. Place on a cookie sheet. Using a jar or glass, flatten cookies to about ½ inch thick. Whisk the tablespoon of ground flax seeds with three tablespoons of water. Let the mixture sit until it thickens. In a medium bowl, add the almond flour, gluten-free flour blend, cinnamon, ground ginger, nutmeg, cloves, baking soda, and salt. Whisk to combine. In a large bowl, add the coconut oil, coconut sugar, flax mixture, molasses, vanilla, and grated ginger. Mix well to combine. Add the dry mixture to the wet mixture a little at a time and mix well until they are both incorporated into each other. Refrigerate the dough in the mixing bowl for 30 minutes. Using a spoon,scoop up a small amount of the dough and roll it into a ball. Roll each ball in the granulated sugar and place on cookie sheet. Refrigerate the balls on the cookie sheet(s) for 20 minutes. Remove from fridge and bake for 10 minutes. Let cookies cool on the tray for a few minutes before transferring to a cooling rack. They will appear very soft when taken out, that’s OK, when they cool they will firm up. Preheat oven to 325ºF. If using flax eggs, combine ground flaxseed and 5 Tbsp. water in a small bowl. Set aside. Skip step if using eggs. In the bowl of a food processor, combine almond flour, tapioca starch, cocoa powder, baking powder, pinch of salt, and coconut sugar. Pulse a couple times until well mixed. Add in 2 eggs (for paleo/gluten-free) or flax egg (flax-water mixture; for vegan), melted coconut oil, maple syrup, almond butter, peppermint extract, and vanilla extract. Process until smooth. Alternately, to mix by hand, combine dry ingredients in a medium bowl and whisk well, then add in egg or flax egg, melted coconut oil, maple syrup, almond butter, and extracts, and stir until very smooth. Line an 8×8” baking pan with parchment paper and spray with coconut oil. Scrape brownie batter into prepared pan, push batter into edges, and smooth surface. Bake 25-30 minutes or until a toothpick inserted into the center comes out close to clean. When finished baking, remove from oven and let cool on a wire rack. Make frosting: combine chocolate chips, coconut oil, maple syrup, and coconut cream in a medium microwavable bowl. Microwave 60 seconds then stir well. Continue microwaving in 30-second bursts, stirring very well between each burst, until chocolate is just melted. Stir in peppermint and vanilla extracts, then pour over still-warm brownies. Let cool slightly then top with crushed peppermint candies. Let cool completely before cutting. If frosting is not solidifying, chill for about an hour to harden. Cut into 16 square and keep in an airtight container about 4 days. Preheat oven to 350 degrees. Grease or line 9×13 baking pan. In large mixing bowl, cream the butter and half the sweetener together. Then beat in egg and vanilla. Add the pumpkin and mix well. Add the rest of the ingredients and mix until well combined. Fold in all but 1/4 cup of the chocolate chips. Spread batter into prepared pan. Sprinkle reserved chips on top. Bake for 30-35 minutes. Let cool on rack before cutting. Beat all ingredients together or pulse together in a food processor until dough forms. If dough is a little sticky, it’s best to sprinkle in some coconut flour on the outer surfaces when rolling. Roll dough out between two pieces of parchment paper to desired thickness (between 1/8 and 1/4 inch). 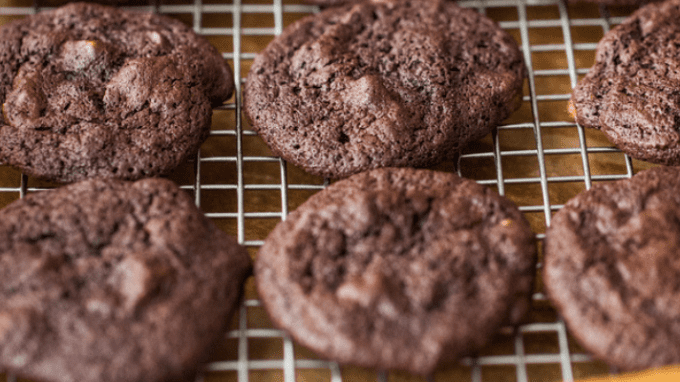 Thinner cookies bake quicker and tend to be more crisp. Sprinkle a little extra coconut flour (or almond flour/sunflower seed flour) on to dough as needed. Dough can also be rolled into a log and frozen for 20-30 minutes and then sliced into circles for easy “slice and bake” cookies. Cut into shapes and place on parchment lined baking pan. Bake in oven at 350°F for 8-10 minutes or until edges are lightly browned. Remove from oven, let cool on rack for about 5-10 minutes then transfer cookies to a cooling rack until completely cooled. Pour the powdered sweetener in a small bowl. Add enough water to make a thin glaze. Divide and add coloring as desired (I go for natural food coloring). Brush glaze onto cookies in thin layer and allow to dry.